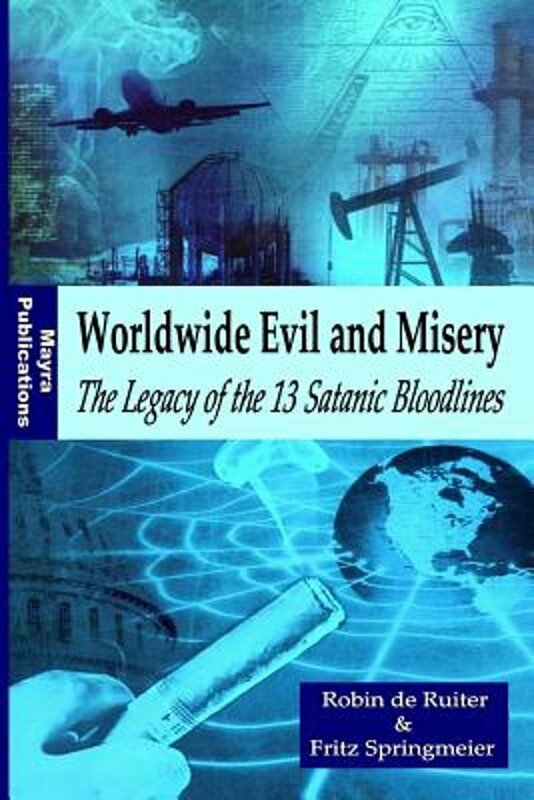 BANNED IN FRANCEThis book is about the development of a New World Order that aims to suppress the whole of humanity. We are raised, by tradition, to trust our governments, and convinced that they care about us. This, however, is a big mistake. Below the surface of official politics lies a complicated social and intellectual process that is taking place. The world is governed by very different personages from what is imagined by those who are not behind the scenes. We are governed, our minds are molded, our tastes formed, our ideas-suggested, largely by men, that we have never heard of. In almost every act of our daily lives, whether in the sphere of politics or business, in our social conductor or our ethical thinking, we are dominated by the relatively small number of persons. Are the visible world leaders just mere puppets directed by an invisible power from behind the scenes? Are there invisible hands controlling the world? Is there a conspiracy? Who are the conspirators? We are dealing with the rise of a new geo-political supranational power on the world scene. This geo-political power consists of the richest families on this planet. Together with the most powerful multinationals they rule and control all countries and all coalitions. The true aim of this elite group is complete control of Planet Earth. They consist of a small elite group formed by the most influential and powerful, anonymous, very exclusive family dynasties that live dispersed over the world. They keep their power and money betwixt them by intermarriage. They operate behind the scenes of the most important enterprises, media and the financial institutions, but also behind the political scenes. Through connections, money and violence these powerful double-crossing families slipped in with one ultimate goal: the establishment of a One World dictatorship. Their target is to force a New World Order on the whole of mankind. They have bought an enormous part of the world with its economic power and placed it under its control. With the help of their unimaginable financial reserves they currently dispose of a worldwide financial control system with which they can control the entire world economy and political system. They determine how the leading politicians of this world have to act. Over time these influential families have extended the scope of their power over the whole world. Their web reaches all corners of the world. Their tentacles are woven with all facets of human existence. Their influence is unimaginable and it reaches all the leading institutions and organizations in the fields of politics, education, religion, finances and mass media. Science has also been infiltrated by them and is financially dependent on them and thus subject to manipulation (think of the Rockefeller, Carnegie, and Guggenheim foundation). The New World Order they are planning will be a World Dictatorship. Conservatives will call it Socialism or Communism. Liberals will call it Fascism. The label makes little difference; it will be the Gulag Archipelago on a worldwide basis.This book is a very unique publication and reading it will undoubtedly change the way you look at both history and the world today. It completely turns everything on its head. Once you read it, all of a sudden you will see the world around you in infrared. You soon see things which are simply not possible to view with the range of standard vision.The contents of this book is highly controversial and uncompromising. It describes a monster that we, in all our ignorance, have created together. It also serves to give us an idea of what's in store for the near future, so we can better prepare for what's coming our way.In 2006 the first French edition of this book was banned in France.